Quickly engage customers to generate positive public reviews or private feedback if they're less-than-thrilled. Send up to 5 requests per month* as part of our free Engage plan. Customer Reviews are modern-day testimonials for local businesses on the searchable internet however collecting positive reviews, highlighting them on your website and promoting them can be cumbersome without the right tools. You might be asking yourself, "How can a local business collect more customer reviews and increase your rating?" This gives your customers the easiest way to share their experience and help you leverage their reviews in your marketing. 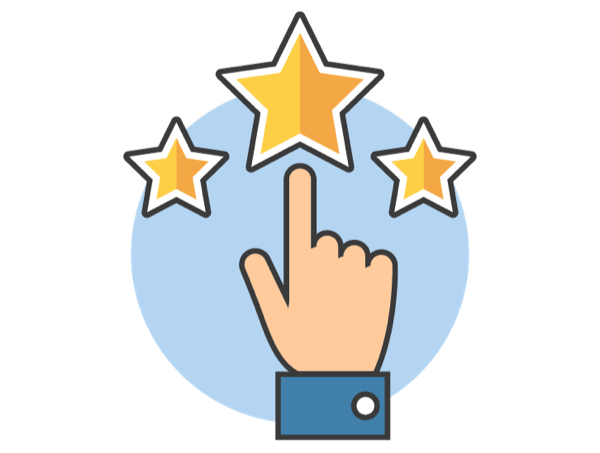 Customer Reviews help demonstrate your skills to potential customers, give you more interesting content to share to social media or email newsletters, and help you rank higher with Google & Bing. Easily collect reviews with the integrated Customer Review Automation tool. You can even have your best reviews automatically appear on your website and shared to your Facebook page. Bonus: you'll get fewer negative reviews because we request private feedback from dissatisfied customers. Not only does your rating stay strong but you also get a chance to work with unhappy customers BEFORE they share a frustrating experience with a friend or take to social media. Ready to jumpstart your reputation and generate more word-of-mouth referrals?